If you’re new to keeping birds as pets, like most people you’re probably under the assumption that their self-cleaning nature precludes them from needing a bath every now and then. But, that’s not true. 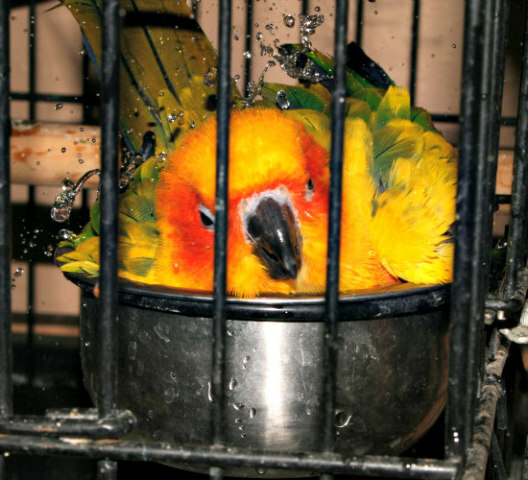 Birds actually enjoy baths and it’s an important function for maintaining overall health. Besides preening, birds in the wild will seek out water to give themselves a bath in order to remove dirt and maintain proper skin moisture for the insulation of their feathers. It’s super important to remember to bathe your bird during the warmest part of the day. That’s because birds can catch a chill easily and die from it. If it’s wintertime or you’re attempting to bathe them during cooler months or someplace that never gets very warm, then bathe them in a small room with no drafts and a small space heater. It doesn’t have to be a sauna in there, but it should be comfortably warm. Also, dry them thoroughly or keep them in the bathing area until their feathers are completely dry in order to avoid chills. use a shampoo of any kind on a bird. There are a variety of quality bird sprays or mists for bathing birds, but shampoos of any sort are never, ever recommended. Birds produce an essential oil of their own that is necessary when preening their feathers. All a soap or shampoo will do is strip the feathers of this special oil. 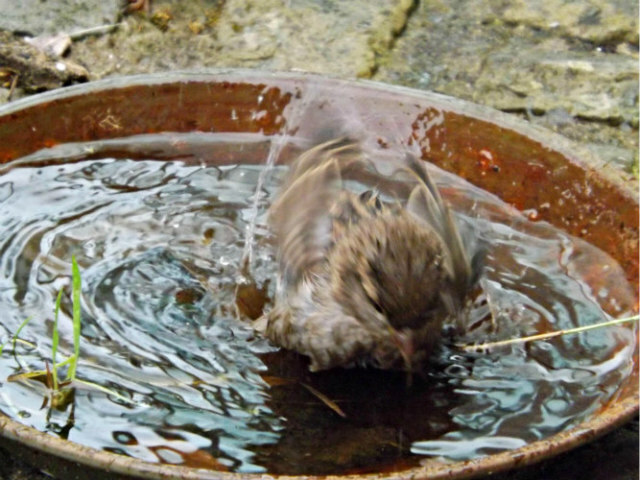 A spray or lukewarm or room temperature water is all that is required for a bird bath. If water is too hot or too cold you can shock your bird and compromise their health. Birds can fade fast once they’re sick, so stick to the rules. Don’t ever soak or immerse your bird in water. In nature, other than waterfowl, they merely splash themselves. The only time they’d get soaked is under extreme circumstances like a deluge. Soaking their feathers can lead to flight impairment. If your bird’s wings are clipped, don’t think that it’s still okay to do, because saturation will lead to loss of body heat, which was covered above. Here’s a no-brainer: don’t dry your bird with a hair dryer. Besides possibly burning them or overheating them, at the very least, you might scare them to death. Birds are fairly delicate creatures. Don’t test their limits. Like humans, birds don’t all have set rules when it comes to bathing. Some enjoy baths every day while others might want to bathe less frequently. Unless you’ve got a lot of time on your hands, bathing your bird daily might be asking a lot — plus you increase the risk substantially of them catching cold. Start out giving them a bath once a week. If they seem to enjoy it and you have time, up it to twice a week and see what happens. If they’re small birds and bathing them is a terrifying prospect, perform the task in their cage and use a mist or spray. 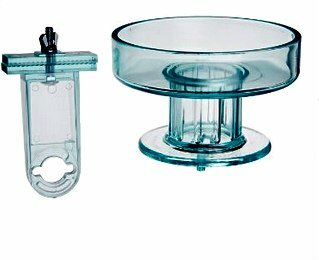 Another alternative is getting a locking bird bath for their cage. If they won’t use it, you’ll have to provide it yourself. Just be gentle and patient and your bird may come to love you for it. Jenny Parks Cat Art Is Feline Nerdvana!